It’s that time of year again! The time that you start looking for ways you can save money on purchasing gifts for the holidays. Christmas time is bitter sweet, but oh so worth the holiday stress. The end of Black Friday and Cyber Monday means Christmas is right around the corner, but the deals never stop with there! With Prime Day comes Green Monday. Green Monday falls on the second Monday of December. It is a day not unlike Black Friday. There are a lot of online retailers that offer big savings for shopping on Green Monday. Of course the deals won’t be as great as Black Friday and Cyber Monday, but they are still worth it. For those last minute shoppers, and I admit that I am one of them, December 14th is Free Shipping Day. In an effort to get everyone’s gifts to their loved ones in time for Christmas, big name online retailers are offering discounts and free shipping on the 14th of December this year. Retailers such as Overstock, Old Navy, The Gap and Kate Spade are taking part in this. This means you can continue to procrastinate. Procrastination is not always a bad thing, at least that’s what I’m getting from days like Super Saturday. The Saturday before Christmas is the day Cyber Monday comes to life and walks among us. All the last minute shoppers will be picking up their last minute gifts, including you. Retailers know that the closer it gets to Christmas, the more customers they will be getting and with more customers comes more revenue. This is why even more discounts are offered at this time. Not to mention Christmas only comes around once a year and retailers don’t want to be sitting on a bunch of Christmas items, so they’ll be selling it at a discounted price. 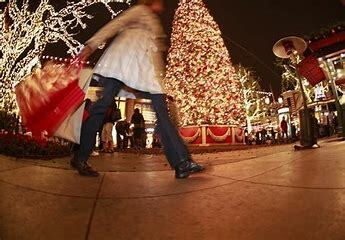 If you have a last minute get together to go to or an office Christmas party you don’t want to spend much on, take a stroll through the mall. Christmas Items For 25% Off $69.99+, including Christmas Socks, Christmas Blanket, Christmas Scarves.